Due to the design of the level, lighting it has been quite difficult. It's supposed to look closed, but it obviously isn't physically so. I kept postponing finding solutions for it, but I did some steps towards it today. I've taken out the half lambert shader which I've been using; it worked well at certain angles, but it didn't fit my purpose. 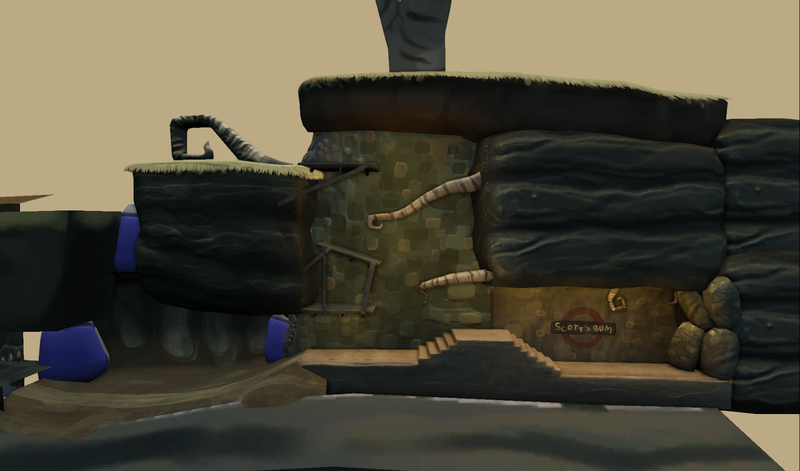 The dominant directional light is top down, and the underground has been lit with some warm, soft spotlights.